Helpful addon for raiders, especially for raid leaders and officers. 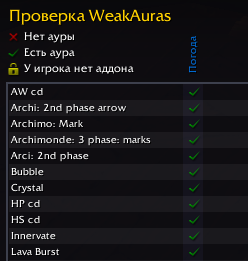 Inspects all raid members and shows information about them: item level, talents, glyphs, items, spec, stats, achivements, number of boss kills. Checking items without gems, enchants; low level items. Also you can help to fix errors in translation or make suggestions about addon. Please leave your feedback. 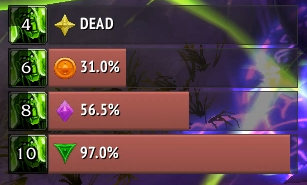 I noticed something not working quite right with the raid tools even after today's update. 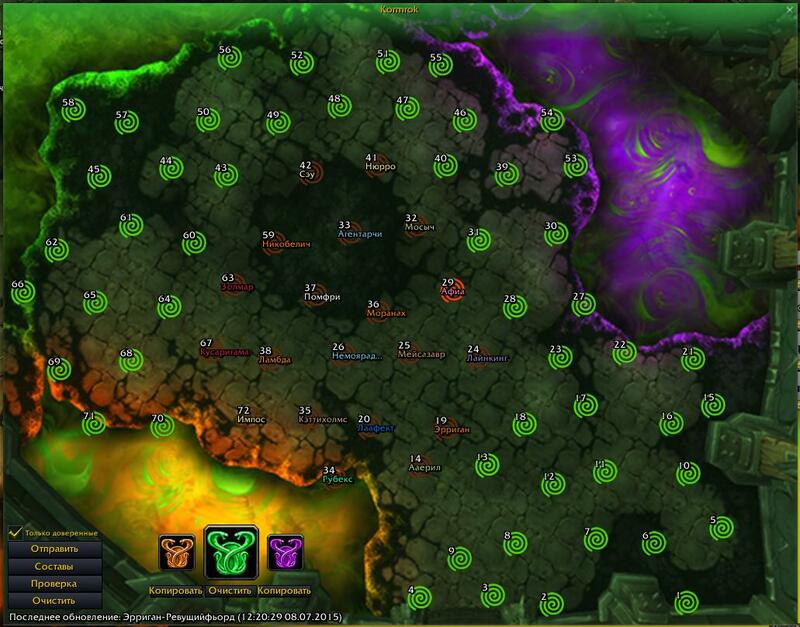 There is a feature that in Legion would keep track of the number of battle rezzes available and the counter until the next one, Currently I just have the icon but there isn't any tally or counter. Ideas? I am using version 3940. 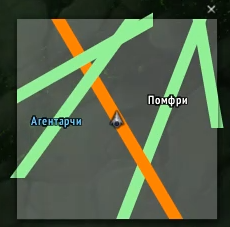 As of today's update (17 Jul) the addon is broken. I have the button my mini map (I didn't before) but I cannot access the menu oir any of its features. /rt does nothing. /rt note does nothing. 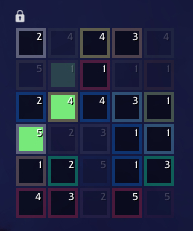 I also can't access the menu through escape > addons anymore. I keep trying to click "Test" for the raid cooldowns so I can properly place them. It doesn't seem to be working. I have used the "Raid Cooldowns" to track Stuns and Kicks of my Group. Sometimes it uses the default font instead of the font i have chosen in the options. Problem gets solved if i disable "Raid Cooldowns" and enable it again. But then when someone joins the grp his Text again isnt the font i selected while everyone else is. I would also like to be ablte to track arcane torrent as a new feature. Hi, can you please add the honor talent Ray of Hope to the Raid Cooldown list (Spell ID: 197268). When I add it in manually it doesn't work. In the countdown cancelled message, the word "Cancelled" is misspelled. Can this please be fixed? I really love this addon but one thing is quite bugging me. Would it be possible to add an option that only the master looter can link the loot in the raidchat? 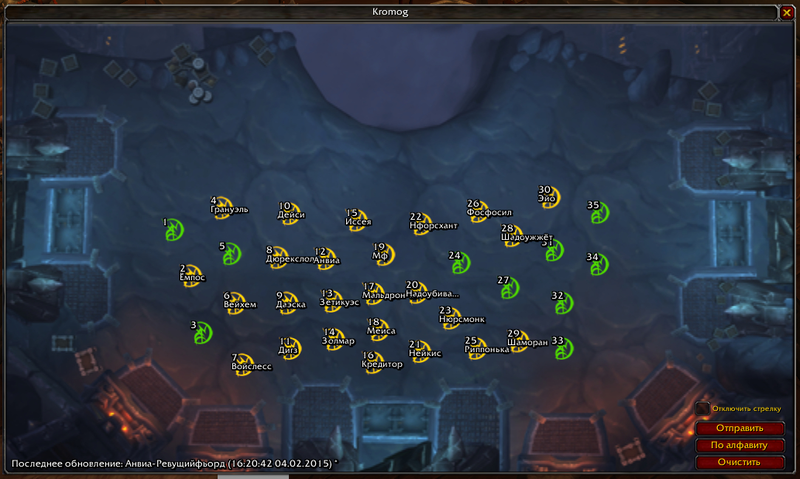 I got several people in my raid who use exrt and (on different days) lead their own raids and need to masterloot there, so they have the lootlink enabled, but they keep looking in the dead boss, so every single one of them links the complete loot in the chat... it would be more convenient that only the master looter would link the loot since he is the only one who can actually distribute it. 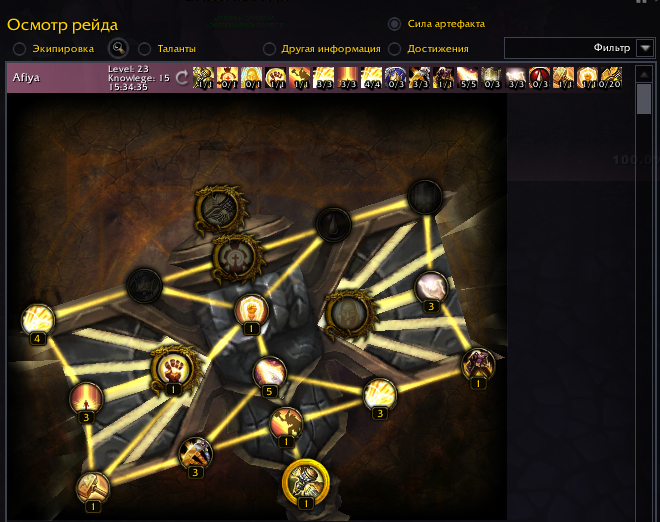 World Marks is not working for me, even I being leader of the raid. I click the icons but nothing happens, personal mark works fine, but world mark I can't use. Did you ever get an answer? I have the same problem. Is there a command/function that can output my current Exorsus Note to chat (other than the shift+Send button in the note setup pane)? I just found that you can key bind "Output Assignments to Chat" for Angry Assignments under Game Menu --> Key Bindings --> Other. Enable Note on/off (from Exorsus) can be key bound, but not the output to chat function I'm looking for. Could a key bind option for "Output Note to Chat" for Exorsus (like the one for Angry Assignments) be added? The feature to broadcast notes in raid chat is very helpful when pugging, and reminds me of RobBossMods. https://www.curseforge.com/wow/addons/robbossmods1&nbsp; When members of either a raid or dungeon party I'm in don't seem to know the mechanics of an encounter RobBossMods makes broadcasting the mechanics easy to do. Having to type instructions/mechanics out over and over again (when new people come and go in a pugged raid) or making macros for each boss explaining the mechanics can be a lot of work. Unfortunately RobBossMods hasn't been updated since The Nighthold. From what I can tell I'll be able to post Exorsus notes in raid/party chat for everyone to see. Perhaps some inspiration for future features/interface etc. (I definitely like how easy it is to post notes/tactics in chat via the onscreen button) can come from RobBossMods so I wanted to share. Thank you for an amazing addon and all the work that goes behind it. I'm just installed Exorsus RT and got some troubles trying to use it in my guild core. In my twitch app it shows as installed, but in-game it just don't appear in my addon control panel. So I cant enable or disable it. Anyone have or know a link to Notes for Antorus? Edit: I found some sources.